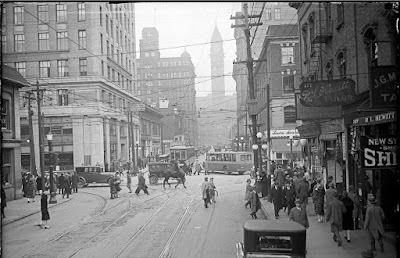 Everyday I go to the Historic Photos from Around Toronto website. 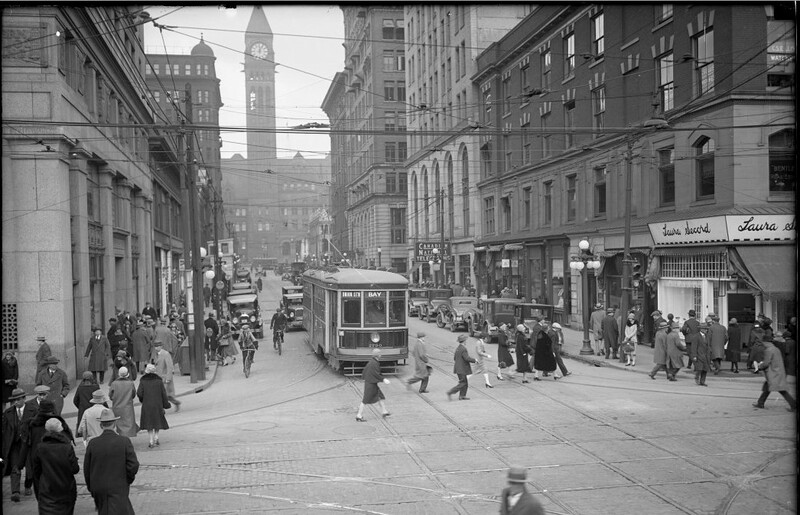 There are some really interesting pictures from the past of Toronto. The one above was taken at 12:05pm on April 27, 1927. As I work in the area, I went out and shot from about the same angle at 12:05pm. Public transit has changed on Bay. 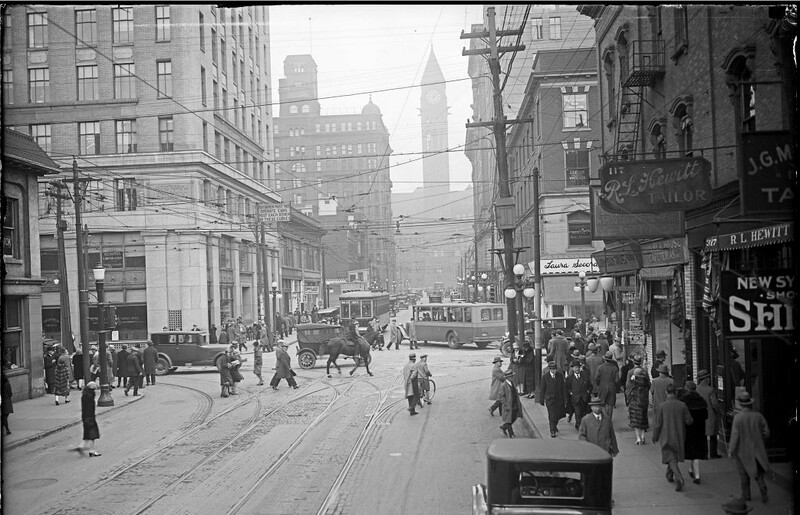 Here is the same view from the east side of Bay, taken at 12:10pm, same date in 1927. Seems like men all wore fedoras back then. Here it is today, at 12:10pm. It was an interesting way to spend my lunch hour.